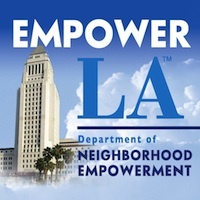 Citizens should decide the size, height and density of their neighborhoods and decades ago communities throughout Los Angeles adopted specific development plans and local zoning. Recently, however, these plans have been supplanted by “spot zoning” allowed by city council politicians. Spot zoning – which allows taller buildings, less parking and little traffic mitigation – often is accompanied by political contributions by developers, their relatives and groups that will benefit from the new construction. Case in point is No Ho West, a development between Laurel Canyon and the I70 freeway that will have 740 residential units and 800,000-sq. ft. of office and commercial space. The development team has given $14,000 in political contributions and spent $415,000 on City Hall lobbyists, who generously allowed their benefactors to avoid all traffic mitigation. There’s a reason “celebrity developer” is a recognized term. Developer Rick Caruso raised $14.6 million ($100,000 from his own pocket) for Eric Garcetti’s “Mayor’s Fund for Los Angeles,” a charitable foundation to fund Garcetti’s pet projects. Between 2000 and the start of this year, Caruso gave an additional $66,000 to city politicians. Caruso wants to build a 20-story luxury condominium tower on La Cienega near the Beverly Center. Perish the thought that a quid pro quo is involved. Scheduled for the March 2017 ballot, the Neighborhood Integrity Initiative would institute a two-year delay in massive developments so that new zoning regulations could be decided by the people whose neighborhoods are being impacted. A counter initiative call Build Better LA will negate the neighborhood proposal and continue to let the City Council decide the fate of specific parcels of land on a case-by-case basis.